This article on the 8 areas of employee expectation looks at social expectations in the workplace and their impact on employee engagement. The greater part of a worker’s day is spent in the work environment, so not surprisingly employees want good relationships with the people whom they spend the majority of their time with: their immediate co-workers, other employees, supervisors and bosses. Of course, not everyone is socially outgoing; some people are introverted and find it difficult to engage. Others see work as a necessary function of putting food on the table, want to get the job done and go home with as little work socialising as possible. Rather than assuming what team member’s social expectations are, managers can now explore an individual’s personality and work related preferences for social interactions. When social engagement is lacking the result is poor productivity, low morale and ultimately higher staff turnover. According to research, ’employees that are social’ are more likely to be engaged at work, however it is one of the more difficult areas to measure accurately, and the results need to be considered alongside other engagement factors if organisations are to meet their employee’s social expectations. Perhaps the biggest challenge for organisations is finding the right balance. Being too social may lead to a drop in productivity, and whilst social activities outside of work are good for team bonding there is a risk of cliques developing which impact day-to-day dynamics. Does everyone in the group have the same social expectations? Finding out what employee’s social expectations are can be highly enlightening; by using Harrison Assessments engagement and retention analytics we can explore them in detail. This group has only a moderate desire to have social opportunities related to work. This group has a reasonable tendency to be outgoing. Since this group tends to be outgoing, the manager probably only need to organise some employee social events from time to time to meet this need. 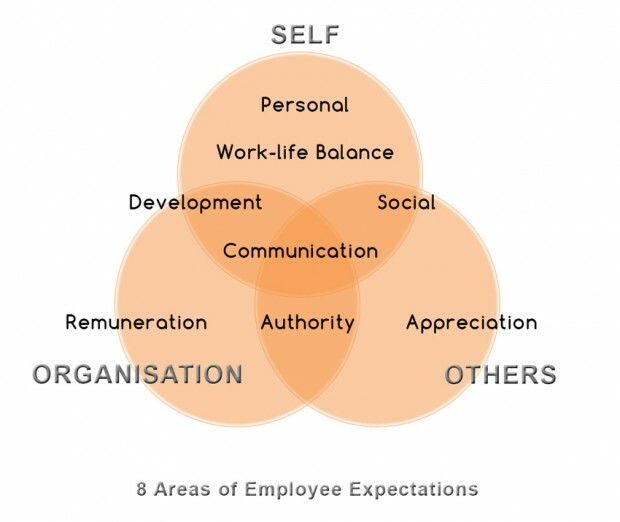 What social expectations do employees have? A gregarious individual will want to meet new people, forge relationships and engage in social activities and this can either be a hindrance or a positive thing depending on the employee’s situation and given role. It could mean, for instance, that an employee is too easily distracted and may not get on with their work productively. It could also mean that they are being held back because they are in an environment where social interaction is curtailed in some way. For managers in particular the desire for social opportunities can often undermine their performance. It can also have the opposite effect if they decide to curtail social interaction because they want to ‘appear’ in charge. Getting the balance right can often be difficult especially for those who are new to their role. The fact that an employee is more extrovert could make him or her a good candidate for customer facing roles but also brain storming sessions as they are more likely to express their views and helping to boost morale in the workplace when the pressure is on. It could also mean, of course, that a particular employee or supervisor has trouble ensuring that the staff under them follow the rules and processes of the company – something that may need to be monitored and further training and guidance provided for. An employee may want a better degree of social interaction in the workplace but they are too introverted to make it happen. Providing the right support and facilitating interactions can help bring this person out of their shell and help them engage more effectively and contribute fully. Many employees want to move forward with their careers and not remain stagnant. They realise there are many opportunities that could be taken if they just had the right skills set. While meeting this particular expectation is important for organisations that want more employee engagement it comes with a few caveats. The employee may want further development and expect it but they also need to have the personal qualities to take on new ways of thinking, accept challenging study, and potentially move into new areas. In this second article on the 8 areas of employee expectation, and their impact on effective employee engagement and retention, we look at work-life balance. 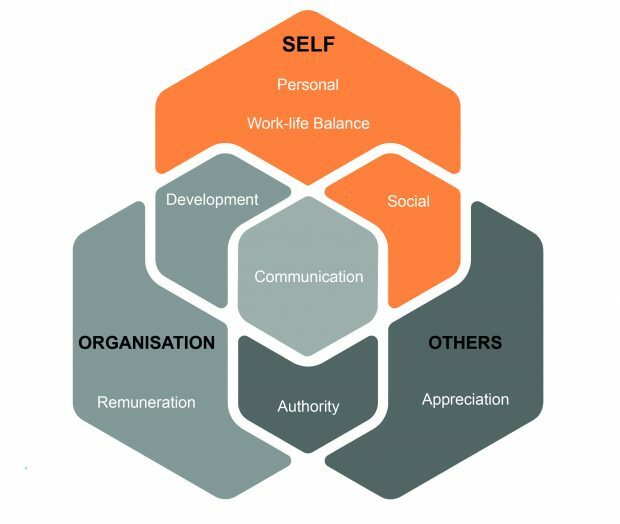 Although much has been said and written about work-life balance, the focus has been on organisation-wide policies and initiatives, but what about individual employee’s real needs and those of their team colleagues? Most organisations recognise their responsibilities towards their employees in maintaining a healthy work-life balance, and the long-term benefits that follow. However, according to The Mental Health Foundation some 40% of us have neglected important parts of our lives because of work and slogging it out for long hours is likely to cause feelings of depression in nearly a third of people. Today’s workforce obviously wants to earn enough money to live on and also have the time to enjoy the fruits of their labours. Previously its importance grew with one’s tenure; as we become more competent at our jobs our priorities also change, for instance, when we start a family or want to work closer to home. A new report from the Centre for the Modern Family, however, says only a third of UK families claim to have a healthy ‘work family balance’. However, for young people joining the workforce today work-like balance is just as important. Millennials, globally, are more likely than other generations to say it is important to receive paid parental leave onsite or subsidised childcare and telecommuting 1-2 days a week according to the EY Global Generations survey. So what are organisations doing wrong? Traditional engagement surveys have evolved from the old style satisfaction surveys which tend to have answers quantified on a scale in relation to generic questions, and are usually anonymous which further undermines their reliability. Traditional engagement surveys can’t get into the specific expectations of individuals or groups in any detail, and so only measure broad perceptions of satisfaction. To get it right the full range of expectations unique to every employee has to be captured, analysed and monitored on a regular basis. Proper expectation analytics in the hands of managers who believe in their people can start a meaningful, personalised conversation that can lead to high levels of engagement. Organisational policies are great but how relevant to the group or team, and what is really important to them? Does everyone in the group have the same expectations and needs? Using Harrison Assessments engagement and retention analytics we can find out. it tends to be moderately willing to deal with the pressure of tight schedules and deadlines. In a recent report from Investors in People’s Job Exodus Trends a 34% of employees would prefer a more flexible approach to working hours than a 3% pay rise, and alarmingly 49% of the UK workforce are looking for a new job in 2016. For line managers, understanding an individual’s expectations as well as their own expectations and behaviours has never been more important to retain the best talent and develop their team’s full potential. 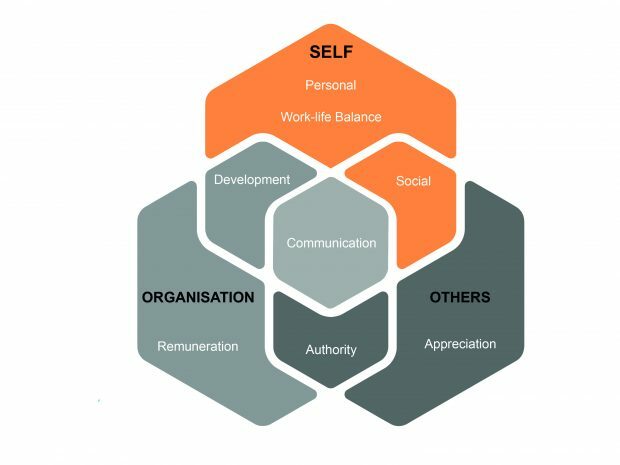 What makes up Work-life balance? Most individuals, unless they are confirmed workaholics, want to be able to maintain a healthy work-life balance but this does vary between people. Some may be working hard to forge a career and climb up the corporate ladder, others might just want to come in and get the job done as quickly as possible. Some will not even realise that their work-life balance is off kilter and may need someone to point it out to them so they don’t suffer from burn out. One way of maintaining a good balance, of course, is offering flexible work time. This may important to certain individuals who have a family or are providing care for a sick or elderly relative, for instance. It could be less important to someone who is just out of college and is looking to push ahead with their career. Offering flexible working can be challenging for any organisation and implementing the right strategy is key to providing employees with the best option for their needs. How relaxed an employee is at work can be an indication that they feel part of the team and are happy with everything that is going within the company. They get on with their work colleagues and have little in the way of issues that need to be settled. It is usually an indication too that they have a good work-life balance in place. We all encounter stress and for the large part this is a good thing. It’s part of the challenge of working in a busy office where a lot is going on. When that stress becomes unmanageable, though, things can become difficult. An employee who feels they are having problems coping with work and the stress that comes with it is likely to be less productive and unhappy. Tolerance to pressure situations is another area where useful employee information can be collected to find those who perform the best when the work is the most challenging. Those who are able to maintain a good work-life balance and manage day to day stress are more likely to cope with high pressure moments whilst others might need more support to help them get through these periods.